Does anyone know if DJI is still supporting the CrystalSky monitors? I have the HB 7.85" monitor and I noticed that the latest version of Go 4 is 4.3.4 on it where as the iPhone and the new DJI Smart Controllers are 4.3.10. Perhaps anyone knows if there&apos;s a way to install the DJI smart controller version onto CrystalSky since those controllers are basically a crystal sky monitor in a controller??? It seems like updates for crystal sky are rare and far between. The CrystalSkys need a Major Firmware update. And the DJI GO 4 apps need to be regularly updated. I suspect but hope not that this version will shortly go end of life. DJI really need to pull their fingers out and reward the customers who supported them by purchasing the flagship monitor the Crystalsky. Crystalsky should be first in software upgrades not months behind everyone else. There hasn&apos;t been a firmware update since last May. DJI have taken a dump on Crystalsky owners from a high. The unit feels unloved and unsupported and always last in line for any software updates. Old Clunky and left out to ROT. Ive certainly learnt my lesson buying from DJI. And DJI says once again. I&apos;m very happy with mine. After a year it was replaced with a new fresh unit. Been flying in the cold for a week and the monitor is bright and sharp. Probably the best single piece of hardware I ever bought from DJI. As for updates, who cares? They even added in monitor LUT as per my request. Happy as ever. A lot of people care about updating our CS to the latest version. Who wouldn&apos;t want all of the PROMISED (by DJI) features of the drone, bugs fixed and have it running as smooth as on the iPhone. iPhone version is 4.3.10 where as CS is 4.3.4.... the locations in flight records are only written as "Map loading", not as smooth as the iPhone version, no waypoints, total hours added are not accurate and the last update turned off the fan from kicking on when the monitor heats up... Honestly the only benefit of CS over the iPhone is the bright screen during bright day light. Where are you on this DJI??? DJI, please update CrystalSky firmware, as well as all DJI apps on the CrystalSky. 2. CrystalSkys Can&apos;t support google play Version is not updated The CrystalSkys need a Major Firmware update. And the DJI GO 4 apps need to be regularly updated. Is there something in dji soft for CS, that prevents you from using it with your AC? If not, then the problem is not so sharp. tell me please, WHAT alternative is there to DJI? They have 85 % of the prosumer market. Right now not many, but there are other companies starting to come out with great drones and since I only bought my M2Z only a few months ago, by the time I&apos;ll be upgrading hopefully there will be great progress in the competition. The hardware is awesome and works great with the iPhone... but not during sunny days outside when I can&apos;t see the image on the screen hence the CS purchase... basically I&apos;m not ever going to buy DJI again unless they pull their finger out and start supporting their products and customers... makes me angry to have spend $1100 on a piece of hardware 2 months ago which is rumored to be EOL!!! If I knew of this kind of treatment by DJI I wouldn&apos;t have purchased it... heck if I knew of this lack of support I probably wouldn&apos;t even own the M2Z. I don&apos;t care about money just give me an alternative. No there isn&apos;t any. Than don&apos;t read them and go fly your Drone. Nevertheless, improvements by updates will be more than welcome. "Follow the money"...DJI has a group of developers...they can develop new products and sell them at a high profit...OR...they can put them to work on support and write updates...They have your money from your purchase...GOOD LUCK...NO concern for existing customers!!! That&apos;s what I&apos;m getting at, great hardware which needs software worked on to function at its full potential. Any news on a Crystal Sky update would be great.... Any idea if there is a planned update soon? The CrystalSky is still being sold so surely updates and fixes have to be released for it... but not before the smart controlled fad is over due to novelty wearing out or lack of sales in high numbers due to the uncertainty of its future drone compatibility, price or combo of both. Maybe either DJI releases a update that unlocks the CS for generic android installs or someone comes up with a crack to root the CS and we just use the android APKs on it... definitely people working on it. Its possible to root the CrystalSky if you care to search the web. Would take a medium technically skilled person half a day or so and of course voids any warranty on the unit. Good luck with your endeavors. Well lvl.2 good luck with everything now. 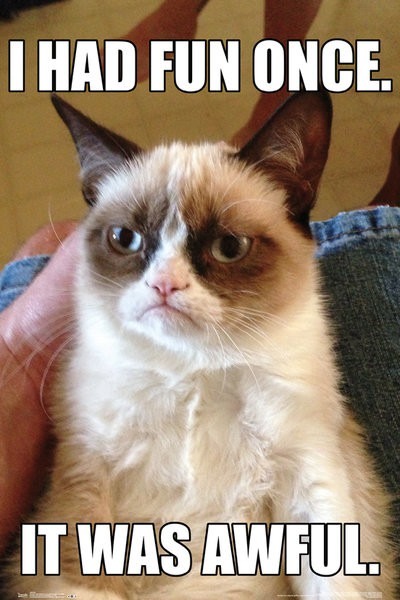 Say hi to grumpy cat from me. Grumpy cat?? if you&apos;re going to play into some "hip with the times" BS, at least post a meme thats more recent.... "Captain"
Dude, you&apos;re one to talk... you can&apos;t even do a simple factory reset without bricking you CS... BTW, I did do a factory reset and it was and IS still working!